Subtitle : "The Light Beyond"
1993 till 95 was a period with a lot of problems for Eric, but somehow he kept smiling and wanted to see everything positively. 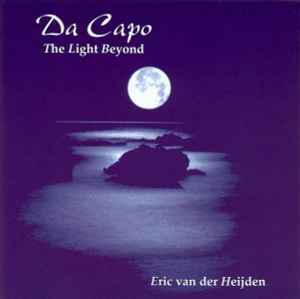 "Da Capo" means : "start over again", from the top, in music it is very often used. That's why Eric choose this title, with the sub-title "The Light Beyond", after a dark period there comes always a lighter period. Track 9 is unlisted on the cover and listed as track 36 on the CD, referring to Eric's age at the time he wrote it.